CWA has always been a leader in International Solidarity. Our work in this area has always been guided by the belief that we can create a better world where all workers, whichever country they live in and whichever industry they are working in, must have the right to join and organize unions. The Union-to-Union Solidarity fund is a project offered by CWA Headquarters in consultation with our Secretariat, Communications International or the AFL-CIO Solidarity Center. On May 2nd, CWA Staff Representative, Janine Munson presented Rick Ibarra, President of CWA Local 9586 and Local 9586’s Executive Board, with the 2017 Eduardo Diaz Union-to-Union Solidarity Award. 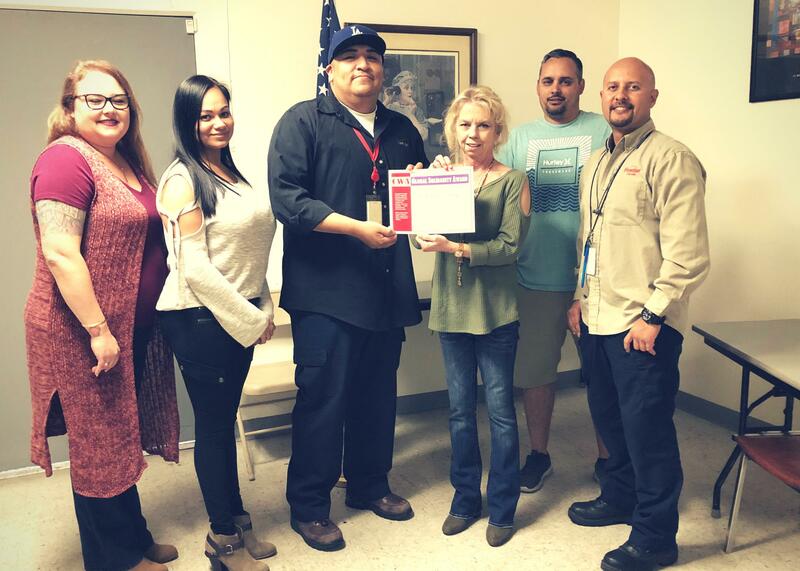 Pictured from L-R: Aura Hill, Cristela Alejo, Rick Ibarra, Staff Representative Janine Munson, David Contreras and Bryan Alcaraz.